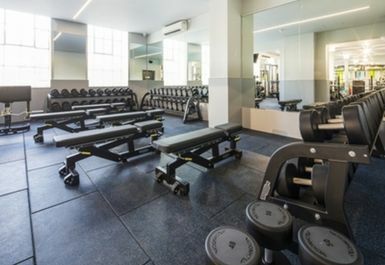 And get unlimited access to this gym and 1102 others. 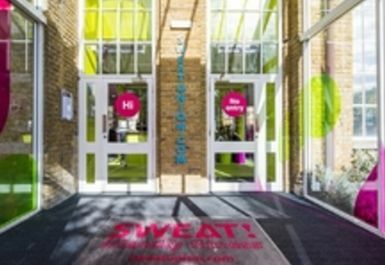 Welcome to SWEAT! Chelmsford, a fantastic gym in CM1. 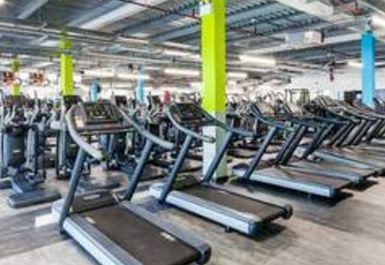 If you’re looking for a friendly, bright, welcoming gym to help you meet your health and fitness goals, this is the place for you! 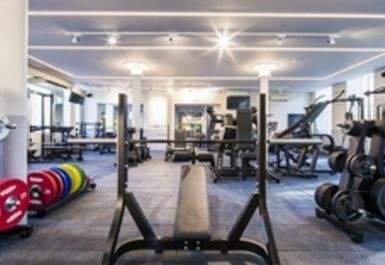 On the spacious gym floor you’ll find a great range of equipment – there’s over 200 pieces of equipment from Technogym and Origin Fitness. 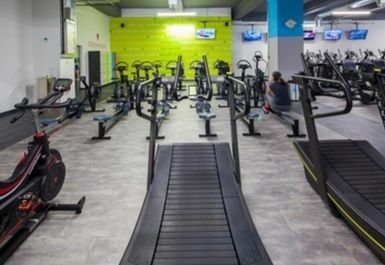 This equipment includes a full range of strength and resistance kit and all the cardio machines you'd expect and some extras, including the SkillMill and Watt Bike. 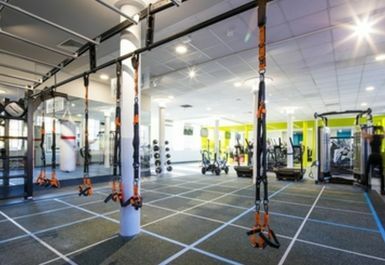 If you’re looking to mix up your routine a little, why not give the Matrix functional training zone a go. Lockers are available for you to use. These will need a padlock so make sure you bring one with you, or you can purchase one from the vending machines at reception. Hairdryers are available in the changing rooms for your convenience. You’ll find SWEAT! 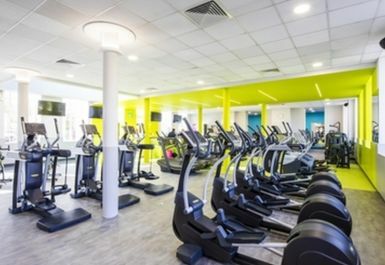 Gym Chelmsford in Globe House, on New Street, just half a mile away from Chelmsford Train Station. Local buses including routes 57 and 59 stop close by. 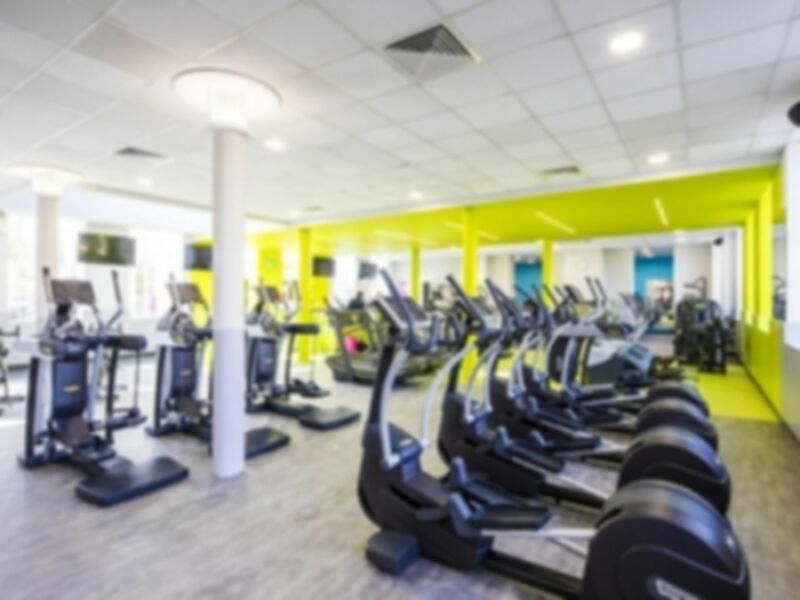 If you are travelling by car, take the B1008 & turn into Brook street then 1st left behind the Best Western Atlantic Hotel to access free on site parking right next to the gym. Secure parking with access barriers. Close enough to Chelsmford Town centre and the university. I haven't quite figured out the parking yet as to whether we get refunded. Decent gym, fairly helpful staff, easy to use and value is good if buying monthly membership. The staff is available anytime for you, the facility is clean and cosy. 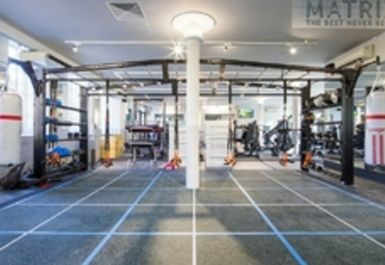 This is a very new gym with top spec equipment. Loads of bars, plates, functional equipment. 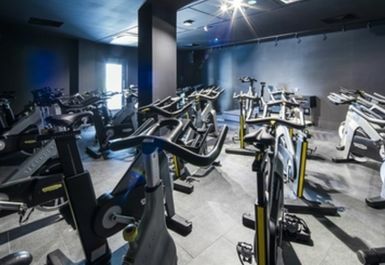 Plenty of cardio equipment, big stretching area etc. Dumbbells up to 50KG. 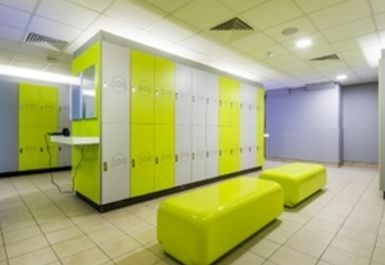 High ceilings and decent changing facilities. Friendly staff too.